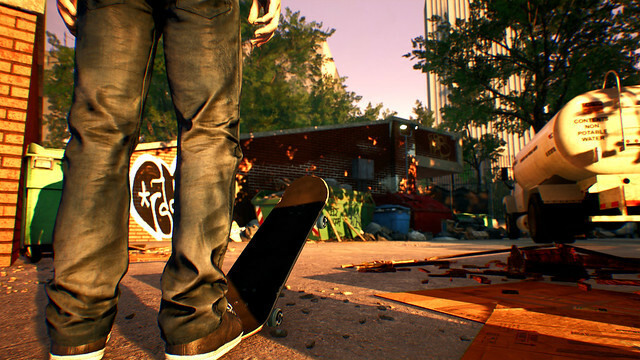 As revealed at the Xbox E3 briefing today, creā-ture Studios’ skateboarding game Session is coming to Xbox One. The game will be playable on Xbox One Game Preview, as well as PC via early access, by the end of 2018. The full, final game will be released sometime in 2019. Inspired by a golden era of skateboarding – the early '90s through the early 2000s – Session captures the true culture of the sport, where the goals are expressing your creativity and learning progressive tricks through hard work, perseverance and a bit of madness. The game has authentic recreations of some of the most legendary skate spots on earth, where you can film your friends and blow minds by creating the gnarliest video parts (in classic VHS style, of course). Session charts a line away from the arcade-style skateboarding games of the past. In Skate Mode, you’re using a fresh dual-stick control scheme to focus on landing difficult individual tricks. Each stick controls a foot to replicate authentic and intuitive skateboarding motion. When you’re not skating, you’re in Filmer Mode, capturing footage, then editing and sharing it. The camera system, inspired by the timeless late '90s skate videos, gives players a new and more dynamic perspective on their tricks. A lot more information will be shared about Session in the coming months.